Leadership and management go hand in hand. The first reflects the capacity to envision, focus long term, innovate and inspire; the second the capacity to execute, focus short-term, plan and do. Though they are different from each other, it’s vital that people in charge are both leaders and managers. Leadership without management quickly becomes hot air – nice ideas without implementation. Management without leadership can be equally shallow – a manager without leadership skills might have great ideas about structure and a plan, but they can easily be short sighted and become disconnected from people’s needs. According to leadership guru Warren Bennis, a manager administers, maintains and focuses on structure. A leader innovates, develops and focuses on people. While a manager relies on control, a leader inspires trust. The manager asks how and when, the leader asks what and why. The manager’s eye is always on the bottom line, the leader’s on the horizon, taking a long-term perspective. The manager does things right, the leader does the right thing. In my previous life as an investment banker, I was very sceptical of this distinction between a leader and a manager. After all, in business there’s plenty of evidence to show that the best executives seamlessly perform as both a good leader and a good manager, and the two aspects are difficult to disentangle from each other. And even now, as an academic, I sometimes question the distinction. However occasionally in life, an example comes along, which makes things clearer. And so it was when Theresa May became prime minister. May displays strong management skills. Since taking office, she has clearly focused on processes and procedures to execute the short-term project with which she was entrusted: Brexit. She appears to be a great pragmatic and meticulous doer and planner. But you never hear her described as a visionary, as empathetic or inspiring. 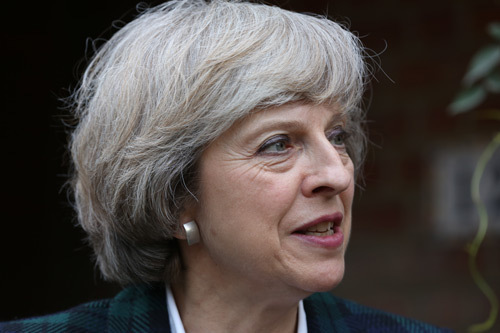 She has been criticised for her inability to craft a long-term vision for the country after Bexit. This is deeply troubling. She is leading the country through what has been described as one of the biggest changes since World War II but she lacks many of the skills of a transformational leader. As a manager she is unstoppable. She has made Brexit her raison d'être. As she recently told Vogue: “I think what’s important is for people to feel that I’m delivering for them.” For May, delivery comes before legacy, short-term focus before long-term thinking. As a leader, however, she is unconvincing. Her duty to deliver seems not to be equally balanced by a well-crafted vision for the country. In the Vogue interview, May is described as trying “not to picture how things will be in advance. She doesn’t think about her legacy”. Given her mandate, Vogue’s conclusion is that “May’s most pronounced characteristics, her rigour and sense of duty, may turn out to be more useful than a grander plan”. The way in which she handled the recent terrorist attack in London differs immensely from that of her predecessors. Instead of a prompt public appearance, she opted to stay behind closed doors for hours, meticulously checking the facts before issuing her statement. As Politico reported, one senior government official said of her: “Her instinct is to just get on with the job and let that speak for itself … we have to push her to think of the message.” It was this attitude that gained her the nickname “Submarine May” during the David Cameron administration. As a woman, writing about a woman who has made it to the very top, I am hugely respectful of May’s determination, perseverance and shrewd judgement. However, as a leadership scholar, I cringe at her lack of capacity to empathise with some part of the British electorate, for example those who voted to remain in the European Union in June. My heart sinks when I see that this pivotal change is ripping up 44 years of treaties history without an alternative long-term plan. And ultimately I am worried by the fact that the person in charge is a hardworking manager who so far has not displayed the leadership ability to link any of these changes to unifying values and purpose. We know that situations of change, like Brexit, require complex leadership skills. For May to be successful at this pivotal historical time, she has to add to her political and administrative skills. She needs to become more attuned at motivating, supporting and guiding people. Even those who initially endorse Brexit will need support and assistance to sustain their enthusiasm as the inevitable setbacks occur. Large-scale change is always stressful and painful, especially when, like Brexit, it involves prolonged negotiations, and a period of adjustment, disruption and dislocation. Ultimately May needs to provide new strategic thinking, and a new hope to the country, she needs to become a transformational leader. She must define a unifying ideology that underpins the change. She should avoid nationalism to form a narrative which inspires all, not just the Brexiters. She should be intellectually engaging and pay attention to all parts of the country – not just England. Brexit is a complex task and to succeed it needs a complex leader. Thankfully these skills can be learned, hopefully May will learn them.